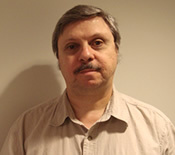 Dr. Locascio has had a research appointment as a senior biostatistician for the Alzheimer’s Disease Research Center and Memory/Movement Disorders Units, Department of Neurology at Massachusetts General Hospital since 1992, and is an Assistant Professor of Neurology at Harvard Medical School. He had a dual appointment as a research statistician in the Department of Brain and Cognitive Sciences at the Massachusetts Institute of Technology (MIT) from 1992 to 2009 where he taught formal and informal data analysis courses. He is a Consulting Statistician for the Harvard Catalyst Bio-Statistical Consulting Group of Harvard Medical School and is a member of the Statistical Advisory Board for the journal PLOS One(Public Library of Science). He has also taught statistics at Northwestern University (1982) and worked as a statistician in psychiatric research at the University of Chicago (1983-1985) and Bellevue Hospital/New York University Medical Center (1989-1991). Dr. Locascio has 90 publications in prestigious medical, scientific, and scholarly journals, magazines, and books.